What Bike & Scooter Mounts Are Available? Unique Ecosystem of Universal and Custom mounts to fit almost any Bike or Scooter out there! 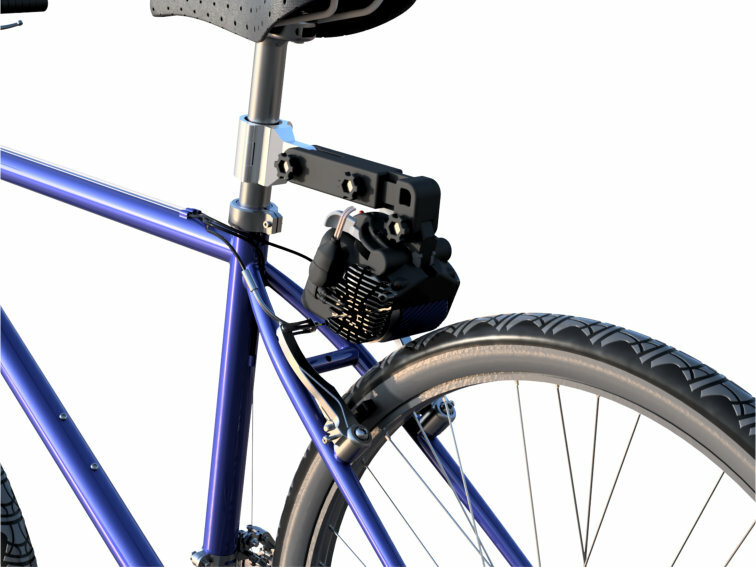 Fits any Bike (or KickBike) with common V-Brakes. For unique Bikes, Trikes, KickBikes, and Scooters, we offer CUSTOM MOUNTS designed uniquely for each platform. There are lots of great platforms out there that don't conform to standard Bike geometries, and we want to be sure each and every rider has the option to add power to their ride! Below is a list of our current Custom Mount portfolio. We are always adding new platforms, so please ask if you don't see yours listed! The result is the amazing set of features you see below - while it might seem like overkill, each and every design element was critical to achieving our mission. 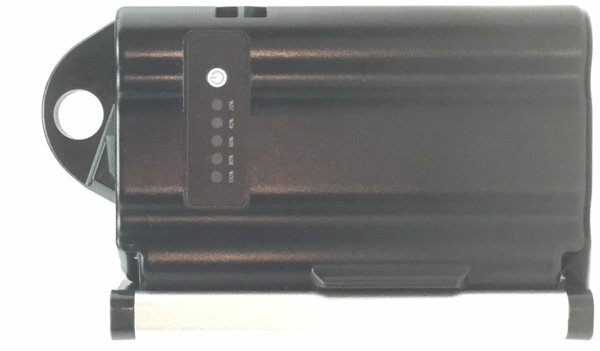 Read on for all the details, and once you try it yourself you'll see exactly why we believe this is the most advanced E-Bike / E-Scooter Battery Pack on the market! For storage, the magnetic connector tucks away as shown, held in place by magnetism of course. If your Bike or Scooter doesn't have spare bottle cage mounting bolts, there are many 'add-on' options available! On or Off in a second. Magnetically! And Can Be Installed or Removed in a Second! And even without the Phone App or the Wireless controller, the Wireless PAS can still be used on its own for all basic operation. Full Throttle/Brake control as well as TailWind mode and level operation and Basic Display via Wireless Controller, as well as all ONEMOTOR functionality and Fulll Dashboard display via Phone App. Pedal Assist operation PLUS Full Throttle/Brake control with easy PAS/TW level control and Basic Display functionality via Wireless Controller, as well as all ONEMOTOR functionality and Fulll Dashboard display via Phone App. While the Wireless Controller is our minimalist solution to Operation and Display, our new Smartphone app takes the opposite approach. Today's smartphones have huge, high-resolutions screens - why not take advantage of that capability? So we've packed in ALL the relevant 'Dashboard' data you could want, as well as multiple levels of operational control, for LED lighting, Motor Module Retract Modes, and Throttle Power limits, and of course the requisite PAS / Tailwind Power Level +/- and Pause/Resume. Take a look below to see just exactly how much information and functionality we've managed to fit! But the challenge here is that not only can Normal Force vary due to changes in tire pressure, but the Friction Coefficient can change dramatically depending on surface and weather conditions. So by controlling Normal Force via our Motorized Pivot mechanism, we can not only compensate automatically for changes in tire pressure, but can also offset almost any reduction in Friction Coefficient (rain for example), and thereby keep Friction Force constant. And PERFORMANCE optimal! BUT WHAT'S IT LIKE TO RIDE? Auto-retract is great, but sometimes you don't want the Motor to disengage from the tire when releasing the Throttle, like when slowing for a stoplight. Our 'SMART' mode solves that dilemma. It only retracts the Motor when you release the Throttle IF you're not slowing down. Like to use the Motor just to get up to speed from rest? 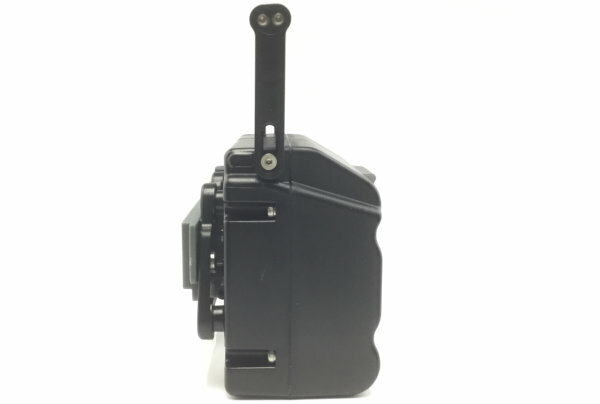 The Motor will retract automatically when you release the Throttle if you maintain or increase speed on your own. Like to use the Throttle all the time, and release it only when slowing? The Motor will automatically remain Engaged with the tire, for immediate power once you resume! 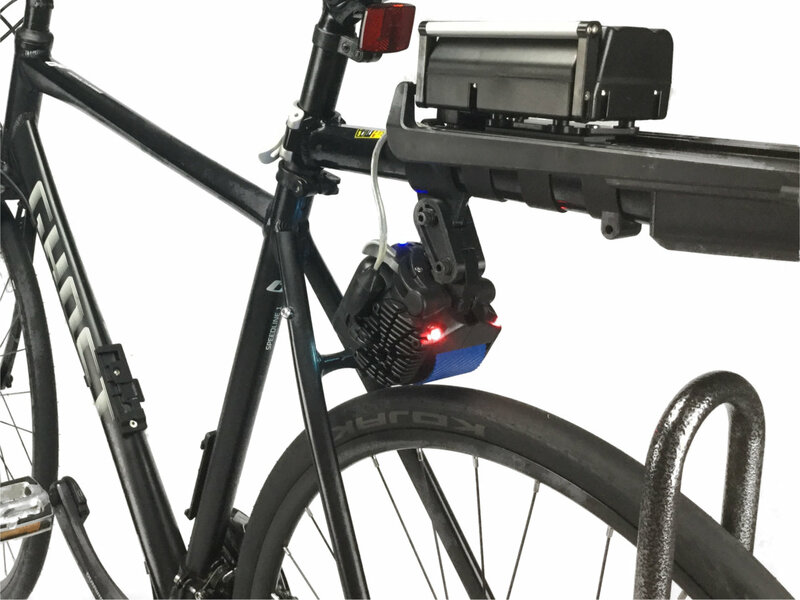 Note that if you're using the Wireless PAS, the Motor will always stay engaged when you stop pedaling, but will retract automatically when you Pause the PAS operation. 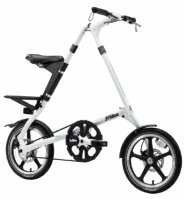 For scooter use or biking off road, it's often preferable for the Motor to stay Engaged with the tire ALL the time, even if you release the Throttle or Pause the PAS operation. Our 'NEVER' mode does just that - the Motor stays engaged all the time, in both Throttle operation and PAS operation, even when Paused. Prefer to just have the Motor retract off the tire EVERY time you release the Throttle? Then the 'ALWAYS' mode is for you. 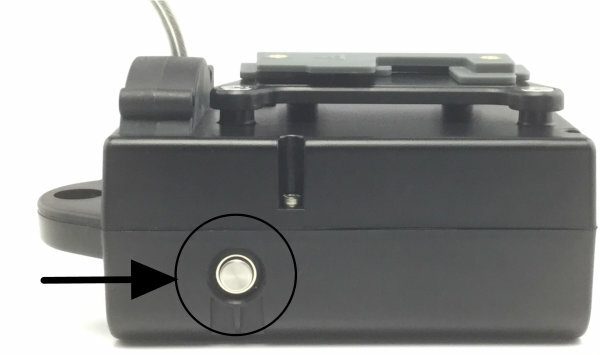 For PAS usage, the operation in 'ALWAYS' mode is identical to 'SMART' mode, the Motor retracts only when you Pause PAS operation. And whenever Motor Power or Braking is no longer needed, the Motor Module Retracts completely off the tire, returning to the HOVER position. Three different Retract modes allow you to customize (see above). Of course, whether you control Normal Force or not, having a driving surface with great grip in both wet and dry conditions is essential to Friction Drive performance. Unfortunately, most systems on the market today resort to sharp knurled metal or sandpaper to solve that need. WHY? Because finding a surface material that grips well on WET rubber is extremely difficult. But these approaches have a serious flaw: they rapidly abrade your tires and significantly reduce tire life! Unwilling to accept this compromise, we spent over two years working with a top urethane manufacturer to develop the optimum compound for maximum grip in both wet and dry conditions, without undue tire wear. Then we further enhanced this magical material with a helical tread pattern that helps evacuate water just like a car tire, further improving wet weather grip. The result is amazing performance in both wet and dry weather WITHOUT the excessive tire wear of sandpaper, grip tape, or knurled metal rollers. And surprisingly, the belt itself also experiences almost no wear, so it should last years. But don't worry, it's easily replaceable should it ever need it! BE KIND TO YOUR TIRES. DON'T GRIND! ONEMOTOR is 'ready-to-work' on many Bike Share programs around the world that utilize the 'Bixi' bikes originally developed in Canada. 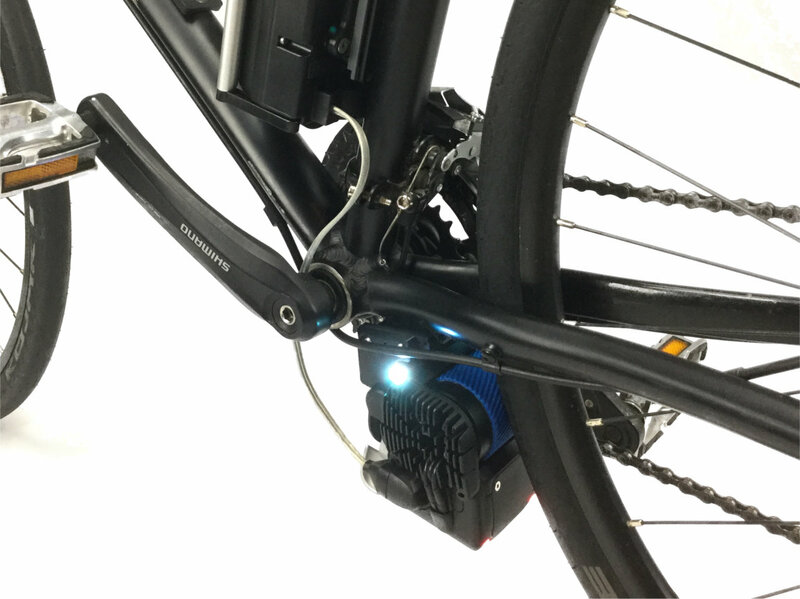 ONEMOTOR was desigend to attach to all of these Bike Share networks without an adaptor, and has the potential to be used on any of them interchangeably, as they all use identical bikes! Please note that ONEMOTOR is not affiliated with any Bike Share operations, so please check with your local operator before use. If it's not permitted, we cannot recommend its use, but please let them know you want to be able to use ONEMOTOR so you can transform your Bike Share's potential! These Pre-Order Terms and Conditions (“Terms”) govern the placing of pre-orders ("Pre-order") with ONEMOTOR. Please read these Terms carefully before submitting your Pre-Order of any ONEMOTOR's Products. By submitting your Pre-Order, you agree to be legally bound by these terms. When placing a Pre-order for ONEMOTOR products, you will be required to provide certain information, such as your address and other billing information. You represent and warrant that all such information is accurate, and you shall ensure that such information is kept current. ONEMOTOR shall have no responsibility or liability for inaccurate information or information that later becomes outdated, and shall have no obligation to make efforts to determine the correct contact or shipping information. You acknowledge and agree that ONEMOTOR may decline or delay Pre-orders to avoid oversubscription as it deems appropriate, we will make efforts to inform you within two (2) weeks of our receipt of your Pre-Order, and that you will be entitled to a full refund of the purchase Price. You will be charged the full Price of the Products at the time of placing the Pre-Order. Significant discounts have been applied to pricing during this Pre-Order period to offset the anticipated wait period of Pre-Orders, as well as the risks detailed in Section 5 below. Methods of payment accepted are: (1) Credit Card Payment (Visa, MasterCard, Discover, American Express, DinersClub) (2) Chase Pay. The purchase price does not include import duties, taxes, transfer fees, and other governmental charges, which are Buyer’s responsibility. Product descriptions and models on the Website may be updated from time to time. All pictures shown are for illustrative purposes only, and actual products may vary due to product enhancement and refinement. It is the User's responsibility to ensure they are purchasing the correct product. Product dimensions, net weights and shipping weights are estimates only. ONEMOTOR will build Products according to the order in which the Pre-order is received. This position does not imply receiving a particular number associated with your Products; however it does mean that the earlier you place the Pre-order, the earlier you will receive your ONEMOTOR. If you cancel or forfeit your reservation in accordance with the Terms, your position will be taken by the next person on the Product reservation list. Although we will make every efffot to begin delivering Products within the expected delivery timeframe, the Products are not currently ready for delivery and ONEMOTOR has not yet begun shipping any ONEMOTOR products; as a result you understand and agree that there may be delays. An estimated time of delivery is only an estimate; the actual shipping date for any accepted Order will depend on a variety of factors including manufacturing schedule, and the dates of your Order, your completed Order, and when we accept your completed Order. ONEMOTOR does not represent or warrant that it will be able to ship the Product by the estimated date. As a result, in the event that a delay arises and the estimated shipment date is not met, ONEMOTOR is not responsible for any damages that may occur due to the delay, nor shall it be obligated, except as set forth in these Terms, to provide any discounts, refunds or credits due to any such delays. We will provide you updates with respect to such delivery schedule. We provide shipping charges during check-out, and you must pay all shipping charges for the location of the address you provide. You must also pay all tariff, import, customs, tax, and other charges applicable in your jurisdiction. If for any reason you decide that you do not wish to continue to wait for your Product, you may cancel your reservation as provided for in Section 7 below. Use of the Product may be subject to local laws, regulations, and ordinances in your jurisdiction, including health and safety laws, electric bike and scooter usage laws, bikeshare system agreements, and any other applicable municipal, local, provincial, state, federal and international laws, rules and regulations. You are responsible for complying with all applicable laws and agreements. It is your responsibility to determine whether your use of the Product complies with local laws, regulations, ordinances, and agreements, and we do not endorse the Product for any particular use. Buyer or Seller may cancel this reservation by terminating the Pre-order at any time for any or no reason prior to our notice to you that your Product is ready for delivery. If you do so prior to our notice of delivery, you will obtain a refund of the full purchase Price without interest. If ONEMOTOR cancels your reservation you will receive a refund of the full Purchase Price without interest. Once your Product has shipped, the policy in the immediately preceding sentence no longer applies. Instead, ONEMOTOR's refund policy and limited warranties will apply. The ONEMOTOR refund policy is available below (“Return & Warranty Policy”). For further information on ONEMOTOR's limited warranties, please see "Return & Warranty Policy" below. Under no circumstances will ONEMOTOR be held liable for any incidental, special or consequential damages arising out or related to this agreement. In the event that ONEMOTOR is held liable for any damages arising out or related to these Terms, your sole and exclusive remedy will be the full refund of your purchase price without interest. We will use any information that we may collect about you only in accordance with our General Terms and Conditions. ONEMOTOR reserves the right to change any of the terms for any or no reason. We will provide notice of any material changes and, if you are unhappy with such changes, your sole and exclusive remedy will be to cancel your reservation as described in Section 5 above. If you are a customer in the US or a country outside of the European Union, our US Return and Warranty Policy set out at Part A applies to any return you make. If you are a customer in the European Union, our EU Return and Warranty Policy set out at Part B applies to any return you make. All terms used but not defined herein shall have the meanings ascribed to them in the ONEMOTOR Pre-Order Terms & Conditions, which is incorporated herein by reference. 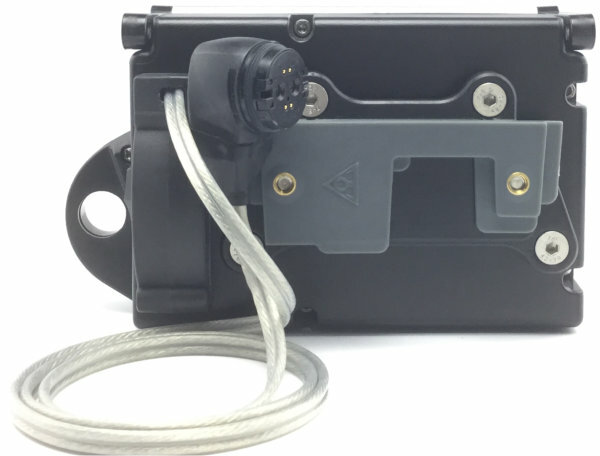 The Product(s) must be received by ONEMOTOR within 30 days of the date that we delivered the Product(s). ONEMOTOR is not responsible for recovering the Product(s) from you or any third-parties, including shippers, or any delays caused by you or any third-parties, including shippers, and you acknowledge and agree that if ONEMOTOR does not receive the returned Product(s) within 30 days of the date that we delivered the Product(s), you will not be entitled to a refund. If you are a customer in the EU and you are not satisfied with the Products you purchased, you can return them to us in accordance with the cancellation and returns policy described below. You have a legal right to cancel the contract between you and us within fourteen (14) days of delivery without giving a reason. The cancellation period will expire fourteen (14) days from the day that you or a third party acting on your behalf (excluding the company that delivers the Products to you) takes physical possession of the Products you ordered. If you exercise your right to cancel your contract with us, we will reimburse you all payments received from you, including the standard original cost of shipping . You are responsible for the shipping cost to return the Product(s) back to us. In each case, you must return the Product(s) you have purchased to us without undue delay, specifically within 14 days from the cancellation date, and in accordance with the, “How Can IRIeturn the Products?” section below. We will make any reimbursement due to you without undue delay, and not later than fourteen (14) days after the day we’ve verified that you’ve returned the correct Products supplied. To exercise the right to cancel, you must inform us of your decision to cancel your contract with us by making a clear statement (e.g. a letter sent by post or an email). The easiest way to do this is to contact our support team following the process described in the, “How Can I Return the Products?” section below. To meet the fourteen (14) day right to cancel deadline, it is sufficient for you to send us your communication concerning the exercise of your right to cancel before the cancellation period has expired. If the fourteen (14) day cancellation period described above has ended, Company may provide you with a refund for the cost of the Products not including any shipping charges but less a twenty-percent (20%) restocking fee, if you notify us within thirty (30) calendar days from the date of your purchase. The Products must not be abused or damaged as determined in our sole discretion. How Can I Return the Products? Create a shipping label addressed to “ONEMOTOR Returns”. Pack the Products in the original packaging or mail them in a sturdy box to ensure the Products will be returned without damage. Once the Products are received and verified, you will receive a confirmation email with the details of your refund. Please pack the Products in the original product packaging and post it in a sturdy box to ensure the Products will be returned without damage. If you do not receive a pre-paid shipping label from us, you must to pay the costs of the postage to return the items, and such costs will not be returned. You must send off the Products to us without undue delay.